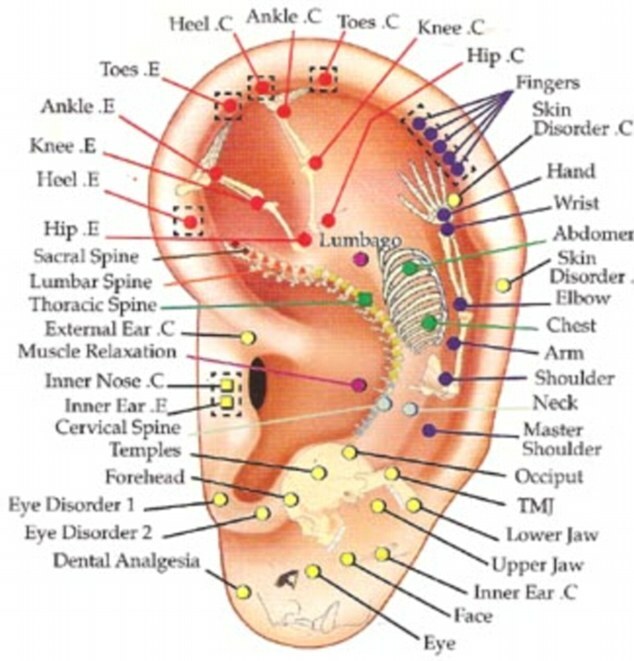 Ear Reflexology or Auriculotherapy is the stimulation of the auricle of the ear to help improve health conditions in other parts of the body. It was originally based on the ancient Chinese practices of acupuncture and acupressure, which are two ancient healing methods still currently in use. The Western theory explains when stress occurs in a part of the body, irritating chemicals form around nerve endings in reflexes in the outer ear, which relate to the stressed part of the body. These irritations are called blockages or congestion which can slow the flow of bioelectric current through the nerves. The Chinese theory says the six yang meridians are directly connected to the auricle and the six yin meridians were indirectly connected to the auricle by their corresponding yang meridian. Ear reflexology can induce deep relaxation and is a great addition to foot reflexology treatments. Let Cathy know if you would like to try this relaxing modality.